2016 was supposed to be the year for VR. I was unconvinced. 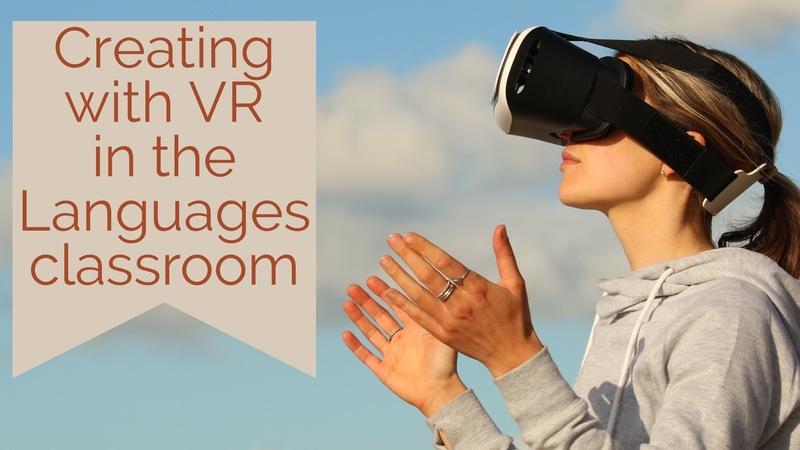 VR in my view was an expensive toy that had classroom potential but the cost of headsets, cameras and the like put it out of reach for most classroom teachers. 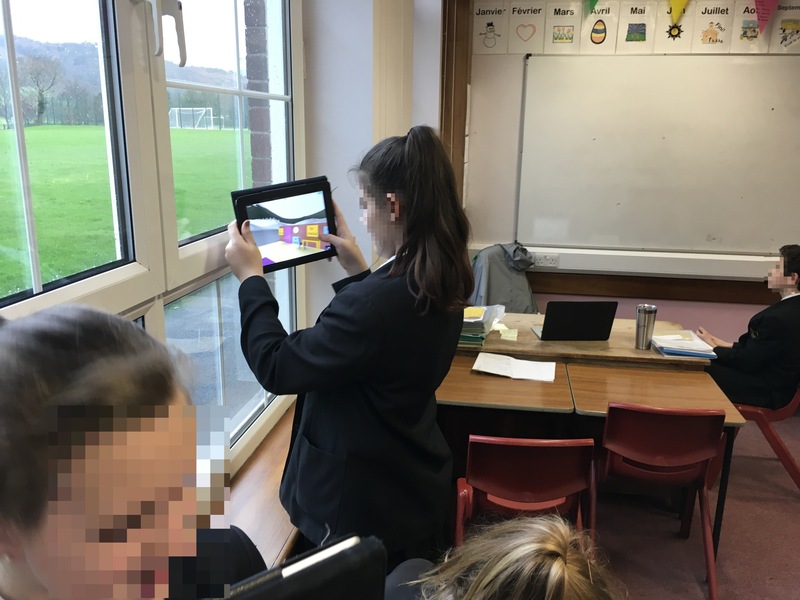 I, of course was wrong thanks to innovative apps such as Google Expeditions, Thing Link 360 and Nearpod 360 VR became accessible for most of us. VR was being consumed in classrooms across the world and it took our students to places that they would never have been able to go to. It help increase understanding by making tricky concepts very tangible but there is only so much consuming one can do and in my view it is creation that can really strengthen learning. 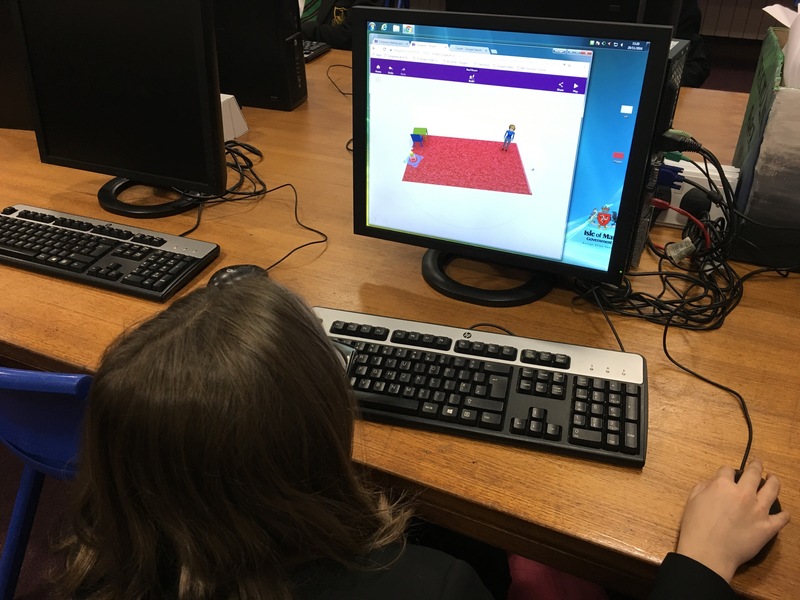 My Y8 class recently used Cospaces when learning about bedroom furniture and prepositions in Spanish. To get started, students simply log onto the Cospaces website and select new project. They then have a variety of backdrops to choose from or they can import a Creative Commons image and make something unique. Students also have a wide choice or pre-made items that they can choose from or they an ‘buy’ items from the marketplace. Cospaces also provides them with blocks and shapes that they can manipulate to make items for themselves. The most important features of this platform for me, as a languages teacher, is the ability for students to be able to label items and also to be able to upload and MP3 file to accompany their creation. 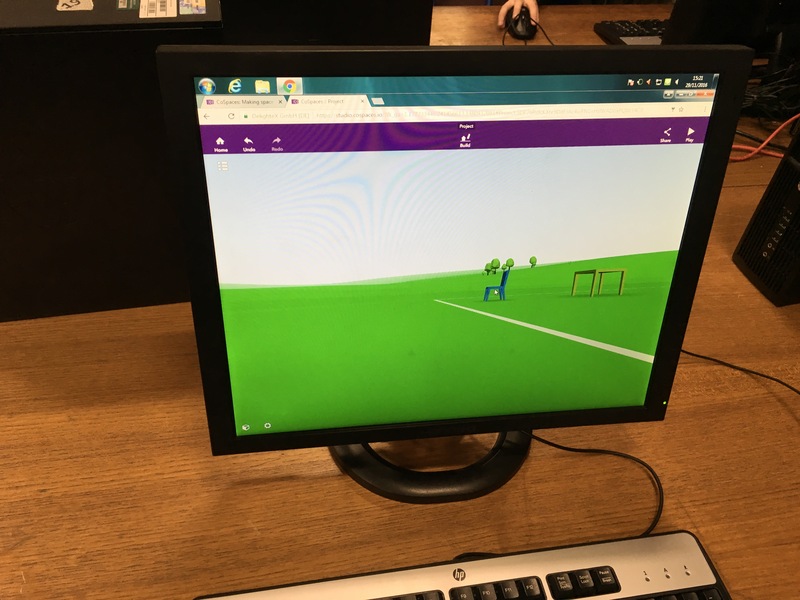 My class and I actually ran out of time when we created our Cospaces activity so we didn’t add sound but we got round this by students mirroring their screen to the main screen in the classroom and then talking through their rooms. I selected students at random so each person had to be prepared to speak. I also add another level of complexity when I asked students to speak about somebody else’s creation. Cospaces are easily shared. My students simply copied the link and then posted it on our Google Classroom site. 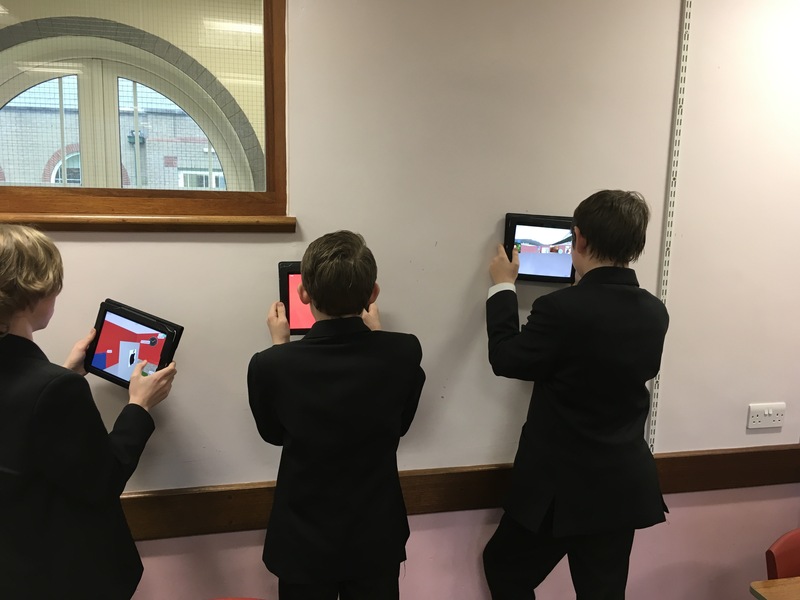 The activity was very well received and it engaged all but I was especially pleased to see that it engaged some of my students who are less than enthusiastic about language learning. Did it make the vocabulary more memorable? I think it did and this was borne out by the class’ most recent test results. Would I use this platform again? I would. I loved the creative element and the ability to add text and speech is a real boon for any languages teacher. Moreover the team at Cospaces are keen to help and are very supportive on Twitter. They also have a great YouTube channel of great how to videos. I love teaching grammar but this is an area of language learning that students often find tricky to master. One of the things that I tend to do when teaching grammar is lots of discussion with students and worked examples on the board, I’ve found that this works well for students as we can discuss problems and misconceptions easily. The disadvantage of this over a pre prepared power point presentation is that it all your lovely worked examples and discussion notes are tricky to share with your students. This week Y9 were learning the future tense in order to be able to discuss future food habits and health. For my teaching of this I decide to use the app Explain Everything and mirror it the board in my classroom via my Apple TV. We discussed verbs and endings and infinitives and we did plenty off worked examples. The difference this time though, was that I could easily save the Explain Everything slides and whilst the students were working through some exercises in their books I could upload all of our ‘board work’ to Google Classroom before our atual lesson had even finished. Now my students have a record of our grammar lessons with notes on all the problems and misconceptions that we discussed as well as worked examples. There’s a lot of hype surrounding the use of technology in the classroom but this week in my classroom technology helped to support teaching and the learning of my students, without it we’d have been resorting to taking notes from the board.